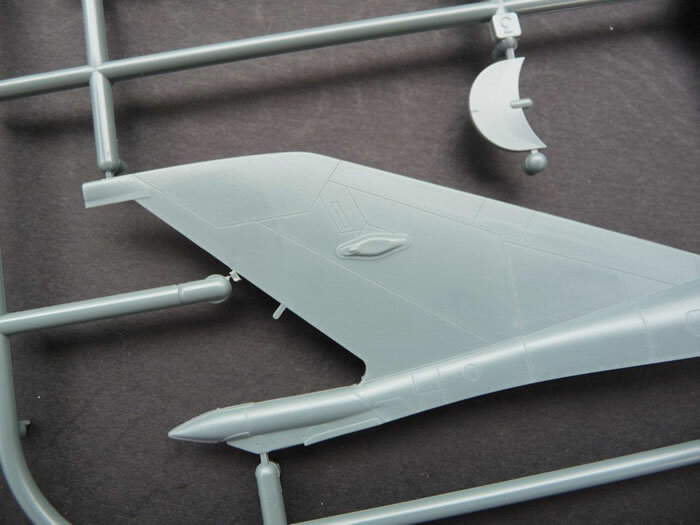 464 parts on 8 x Grey plastic sprues, 1 clear plastic sprue, decal sheet for 1 aircraft and 12 A4 pages of instructions. No decals for ejection seat harness. This is a great kit, though your options are a little limited as the SMT/MT made up less than 3% of overall MiG-21 production and only served with Russia. 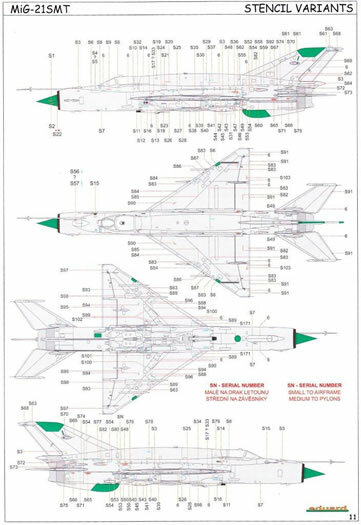 The Mikoyan OKB engineers kept on tweaking the enlarged spine introduced on the MiG-21R, coming up with a bulged configuration that raised total fuel capacity to 2,950 litres (778 US gallons). They had originally performed the redesign to provide 300 litres (79 US gallons) more, but flight tests suggested this was too much, leading to fuel trim problems. The spine was so big that it gave a "humpbacked" appearance and, unlike earlier MiG-21 variants, merged back into the brake chute fairing at the base of the tail. The result was the "MiG-21SMT" or "I-50", which went into production at Gorkiy in 1971. Except for the bulged spine, it was much like a late production MiG-21SM, with the latest in avionics and the R-13-300 engine. The engine fit still didn't provide enough thrust to keep up with the MiG-21SMT's weight growth, and in fact the MiG-21SMT was something of a disappointment, being built in limited numbers. Operational experience suggested that the swollen spine was another exercise in futility because trim problems once again meant all the fuel capacity couldn't be used. The Znamya Trudaya plant built 15 examples of an export version of the MiG-21SMT designated the "MiG-21MT" or "I-96T" in 1971, but they never left the country. S = Sapfir (referring to the Sapfir-21/RP-22 radar). 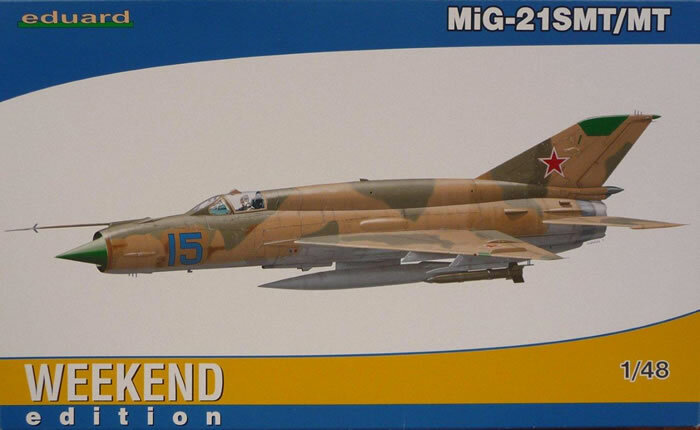 Eduard has already released the 1/48 MiG-21 SMT/MT in their ProfiPACK edition. 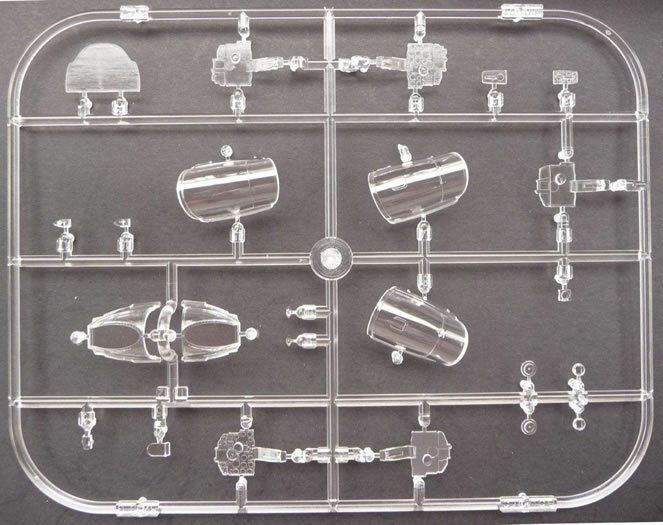 While there is no ProfiPACK SMT review as yet on Hyperscale, the previous reviews by Jennings Heilig and myself cover the main sprues that are common to the MF and SMT kits. 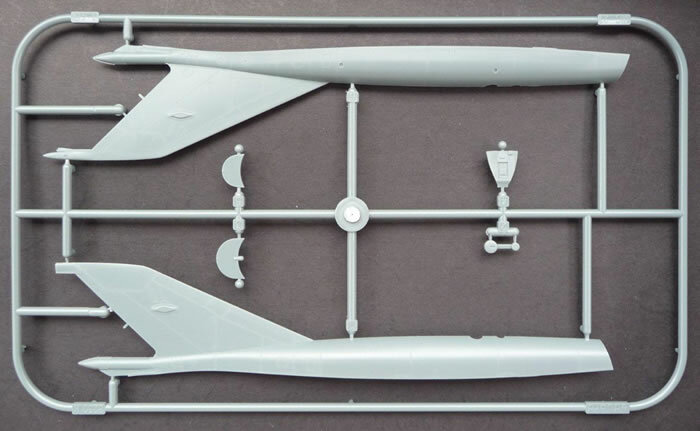 My previous review on the Eduard MiG-21MF has 95% in common with this kits construction. While the box lists 464 parts, there are a lot of spare parts. These are however, mostly weapons, so your stash will have a good supply of Eastern Bloc Air-Air and Air-Surface weapons. 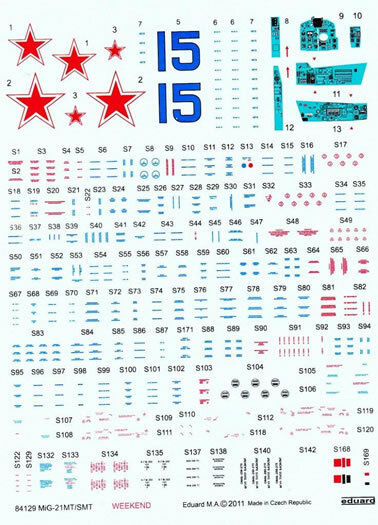 While some Eduard Kits have the decals produced by Cartograf of Italy these decals do not carry Cartograf’s marking and state “Made in Czech Republic”. 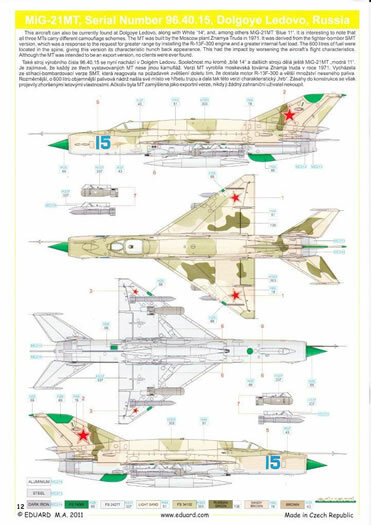 When compared with the Cartograf stencils in the “MiG-21MF in Czeckoslovak Service” kit, the SMT decals are darker in colour and unreadable under magnification. Is this an issue? I guess it depends upon your individual preference. Either way there are a lot of stencils supplied. This is another superbly engineered kit either built out of the box or with some Eduard “Brassin” and you will have a great looking aircraft. 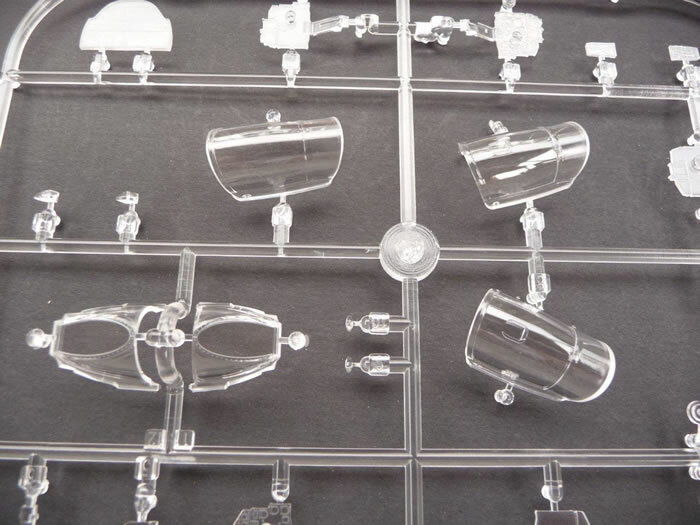 Many thanks to Eduard for providing this kit for review. Thanks to Eduard for the samples.